Shuktara trust (UK) is an NGO that provides a loving home for children and young people with disabilities who have no family of their own. Many of the young people living in the boys’ house who had reached working age were still unable to find jobs. In 2013 this changed. Alain Cojean, who runs a chain of restaurants in Paris called Cojean and a Foundation called Nourrir, Aimer, Donner (Eat, Love, Give) which supports other projects around the world, decided to help them. were taught baking and the art of French patisserie by a team including Fabien Rouillard, former Head Executive Pastry Chef at Fauchon, a gourmet food company in Paris. 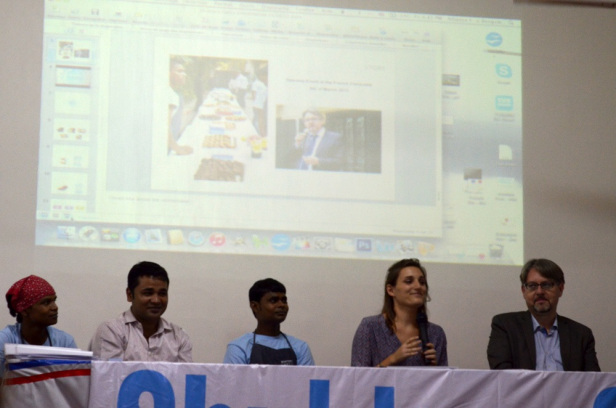 On 10th March 2013, Shuktara Cakes was officially launched at the French Consulate in Kolkata. The Shuktara boy are amazing. With their superb kitchen skills they could put the best of the bakers to shame. 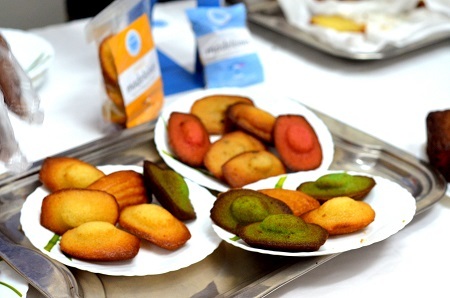 Honed to perfection by French patisserie chefs, these boys dish out perfectly made a variety of French cakes, Madeleines, and what stole our hearts away, some excellently decadent financiers. 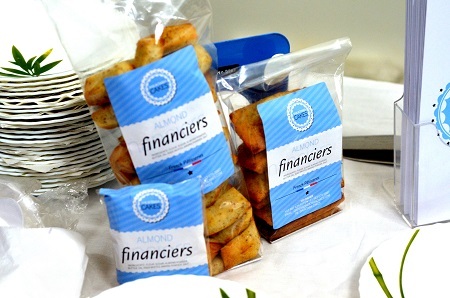 Made from almond meal and pure in every bite; purity in ingredients applied to all their products and is perhaps the biggest reason they stood out in terms of quality. 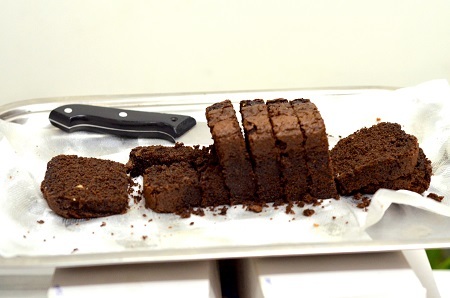 The orange poppy seed cake for example, is not just ‘dusted with poppy seeds’ but has them all the way for texture and nuttiness in every bite. Here is a glimpse of their daily bakes; one can order in their freshly made French patisserie products at your doorstep with a 48 hour advance notice. 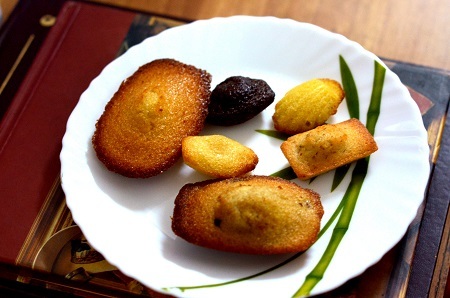 Shuktara cakes are also looking for distributors that would help them scale up. For people reading this, if you’re in Kolkata I urge you to order their products once and see for yourself what a fabulous job these kids do in the kitchen. And how much they deserve to be promoted. Those interested can also feel free to pay a visit to their Behala workshop/factory to check them out for themselves. 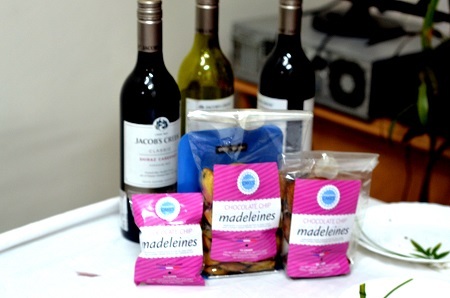 I attended the press meet along with my Kolkata Food Blogger friends – Amrita Gill, Anindya and Madhushree.